I’ve spent at least 50 hours with each headphone (tooks days off of work…yes, it’s that bad). For some of these songs I found it more accurate to listen to snippets of songs for these types of comparisons. I wrote these notes down as I’m listening to keep it as honest and unbiased as possible. As with all subjective reviews, take it with a block of salt. 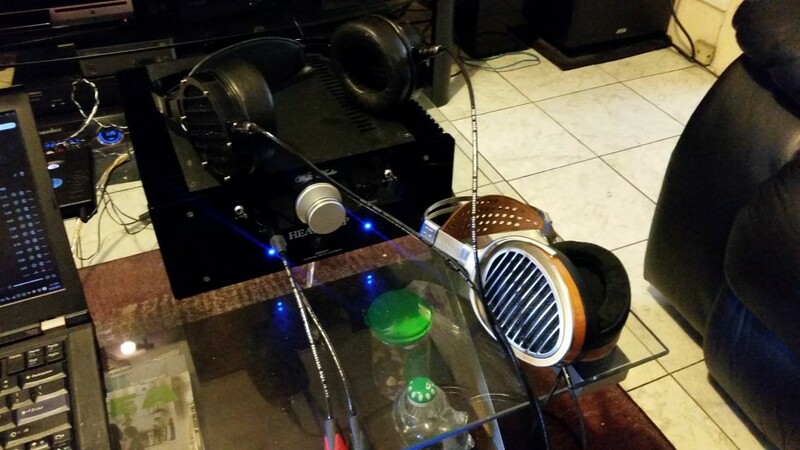 At the time of review I owned the Audeze LCD-3F and the Sennheiser HD 800. I’ve since sold the LCD-3 and purchased the Abyss. The rest of the cans and Headtrip were borrowed from the awesome guys at The Cable Company. Ethan was a pleasure to work with and I highly recommend their headphone/amp/DAC/cable loaning services. I’ve tried to cover as many genres as possible. Let’s begin. Soundstage is wide…maybe too wide? Very factual…if that’s the word for it. Crowd clapping, more head bobbing, toe-tapping, it’s what the LCD-3 does! Not as transparent and doesn’t really have the organics of the other headphones but ample amounts of euphony. Voice still lifelike. So delicious. I’m really not giving much love to these cans…especially compared to the others but you have to keep in mind they blow the other cans below this tier away. We’re at summit-fi guys. Bass is so much better, doesn’t sound like the others. Very controlled and precise. Amazing sub-bass response. None of the other headphones could produce this awesomeness I’m hearing. They’re subwoofers in your ears. It just…tickles your ears…can’t help but smile. With this rig, the Abyss blew the other headphones out of the water. It had enormous dynamics, visceral and physical bass response, amazing clarity, precise imaging, larger and more realistic soundstage (even compared to the unmodified Sennheiser HD 800). Scales well with the equipment it’s given. It even sounds great directly out of the Chord Hugo’s amp, although not as wide/deep a soundstage, instruments are a tiny bit more restrained, and it’s a tad bit brighter and less refined…it does an amazing job considering the difference in cost. However, when paired with my Pathos Aurium, it sounded a bit hazy and less refined. 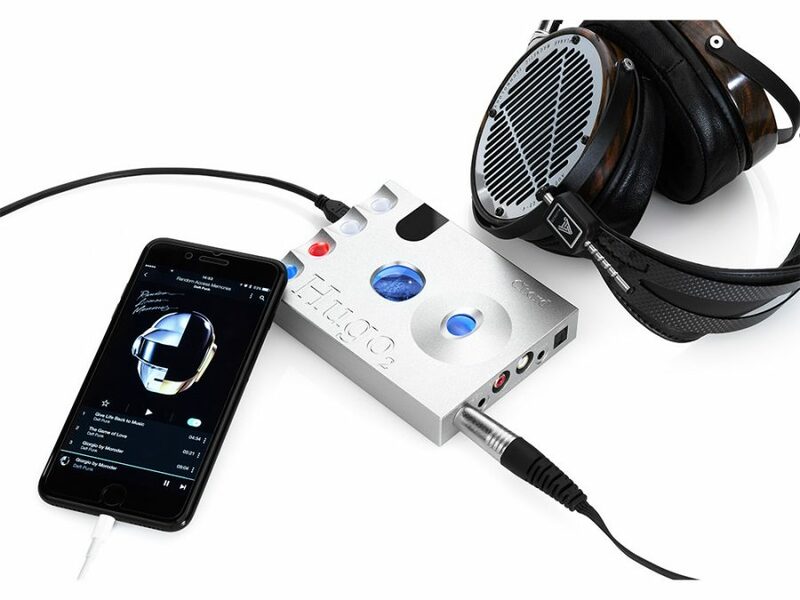 The Headtrip amp was supposedly built for this headphone in mind and it shows. Overall, I think what a high-end amp does for a headphone like this is more texture and control over the entire spectrum. It gives it that “effortless” sound…where power (and at times money) is no object. The pairing and synergy with this amp is astounding. It was the closest I’ve gotten to a $200,000 Kharma speaker setup with headphones. The HE-1000 is a much better all-rounder (especially with the Headtrip) but the Abyss has the ability to teleport you to the place the recording took place in. It may not be as fun for some genres but because of it’s “physical” capabilities and holographic presentation, I would place this as my top pick. I’m sure to the surprise of many, I also found these headphones comfortable after hours upon hours of listening compared to even the HEK. When properly fitted (in my experience, a little looser towards the back of the ear) the bass response is powerful and unmatched. Best headphone listening experience I’ve had thus far. I’ve heard the prototypes of these back in CanJam 2015 and from memory…I liked them better then. It were a bit brighter and airy. Like some listeners out there, I found these to be a bit too soft to be enjoyable some of the time. From my experience, they don’t scale well with cheaper components. 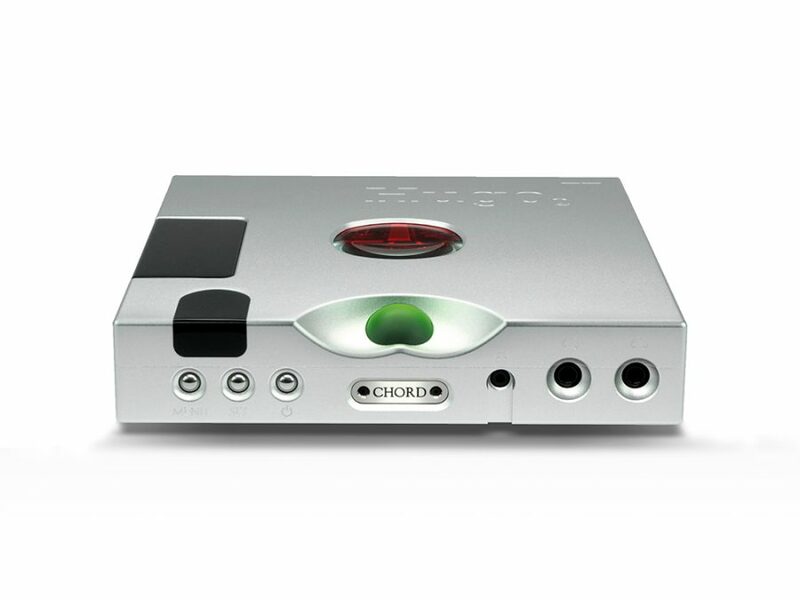 Listening off my Aurender Flow or Chord Hugo is a completely difference experience from listening to it on the Headtrip. IMO, the HEK requires a decent amp to let it shine. It sounds incredible on the Headtrip but too laid-back and lifeless with the portables. I preferred the LCD-X off the portable DAC/amps. Compared to the LCD-3, it’s definitely the better headphone. Imaging is pinpoint accurate, enormous amount of detail, and great extension on both ends. They’re very light and comfortable but sometimes slides up/down my face so I have to readjust every so often. I had a few music lovers over and 90% of them enjoyed the HEK over the rest of the bunch. Compared to the Abyss, the sound is more closed in a cozy space. Brings more of an intimate atmosphere while the Abyss is grand and expansive with a much blacker background. At times a bit too soft for my taste but technically accurate and enjoyable. 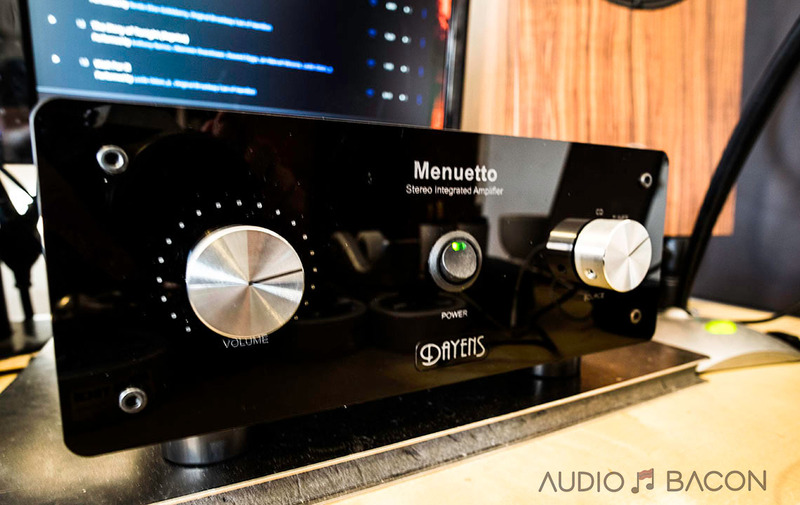 It is by far the best all-rounded but requires a decent amp to sound its best. I just wish it had more shimmer up top and a blacker background. If it had those two things, I would prefer it over the Abyss. Although, the warmer undertone gives it that sweet and groovy presentation. These are my personal pair of cans and man, they really provide some musical enjoyment. They do lack all the technicalities of the other cans but it picks out all the good parts of a song and melts it in your ears. Bass slam (albeit boomy at times) is fantastic and the mid-range is something most yearn to listen to on lonely Christmas nights. These give you more bass than you need but it helps with certain genres. They’re not technically accurate but are very detailed and intimate. Outside of classical, most music sounds amazing out of these cans. It’s really hard to not like these cans for strictly musical enjoyment. They’re not really transparent and they have poor imaging…but oh man have you heard the silky, lush, buttery mid-range on these things? Heaven. These were my first set of high-end cans…and I never really liked them. Possibly due to poor amp selection and such but they always seemed too bright and strident…almost unbearable. There wasn’t enough low-end response for my tastes and overall it just wasn’t engaging. However, I could see how a sound engineer would appreciate them (and one actually did during the shootout). A month after this session was conducted, I modified the HD 800 and it sounds like a different headphone. Great low-end response, upper treble areas were smooth but didn’t lose its shimmer. I really…really enjoyed them. I’m sure they’ve would’ve ranked higher had they been modified. As far as value, the modified HD 800 is as good as it gets and would get my top recommendation for those wanting to dive into summit-fi sound. The imaging is undeniably accurate and the soundstage unmatched in width (though unrealistic IMO). Surprisingly, I felt the Abyss had more depth and was more accurate as far as reproduction of both width and depth. These were technically and sonically superior to most of the cast but were a bit too lifeless and analytical for me. As mentioned, the modified version is whole another story. For this shootout, the HD 800 performed quite well but my musical preferences require a bit more from the low-end and possibly more of a colored sound. Some love the unrealistically wide soundstage but from this session…the imaging from the HEK and Abyss were more pinpoint accurate with defined boundaries while the HD 800 was slightly fuzzy around the edges. The mod actually seems to fix most of these problems but I didn’t have them available during this review. Just to note, these did hit the noise floor of the Headtrip. They sounded great off the portables and the Headtrip but the performance was somewhat inferior to the rest of the cans in this comparison. It just sounded a bit aggressive, a bit loose, boomy, unfocused, a little grainy, and unnatural. Compared to the headphone above it, the LCD-3, it just sounded unorganized and messy. One the other hand, these are great because I can power them up through my phone at the office. They still sound more spacious/enjoyable than my custom JH Audio Angie in-ears and are fun to listen to if you’re multi-tasking and listening to more mainstream Pop/Hip-Hop/Rock. I could see these being quite enjoyable but it really lacks the refinement I look for in a high-end headphone. It’s just not as smooth or resolving as the other headphones in the bunch. 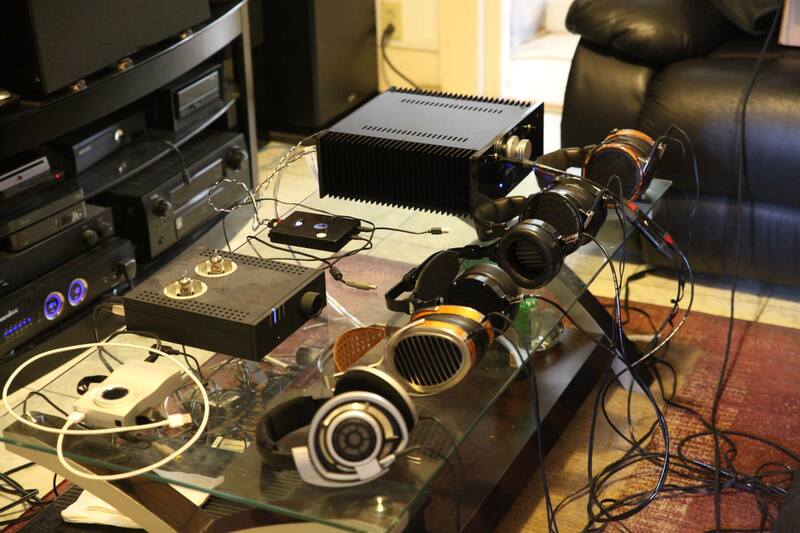 Try comparing the Abyss to the STAX SR-009 (on a top-of-the-line electrostatic amp) and Audeze LCD-4 when you can. That’s definitely in the pipeline. I’ve been curious about the STAX but my musical tastes require a more weighty low-end response. I’ll let you know when I post the review. I would like to send along my sincere thanks to Audio Bacon for a very comprehensive. thorough and insightful review. 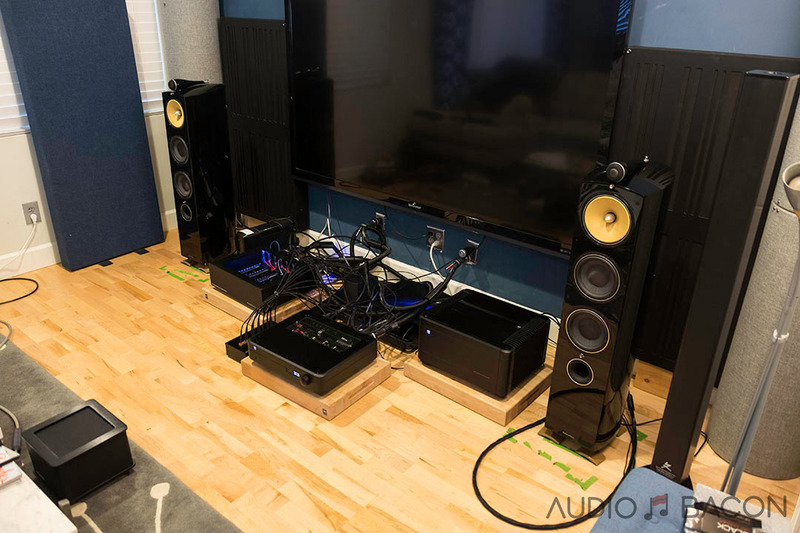 I am quite familiar with the sound of all of these headphones and my experiences are quite similar to the ones expressed in the review while using the Headtrip and even the more affordable Enigma amp. 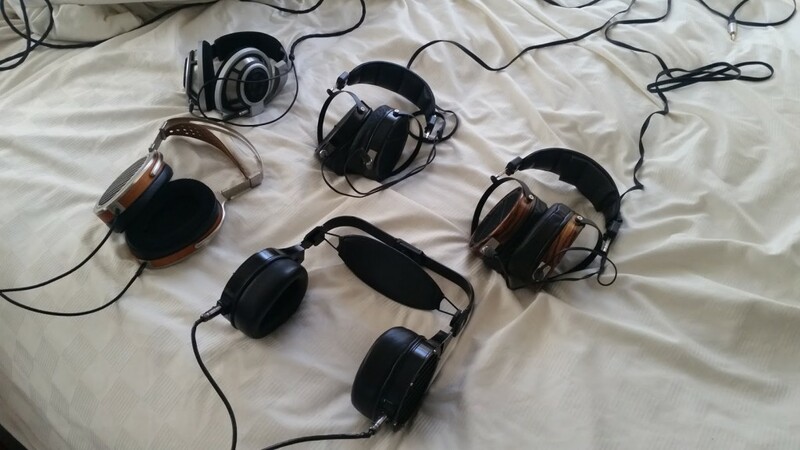 By the way, sonic impressions of all of these headphones can be radically different with less competent gear. 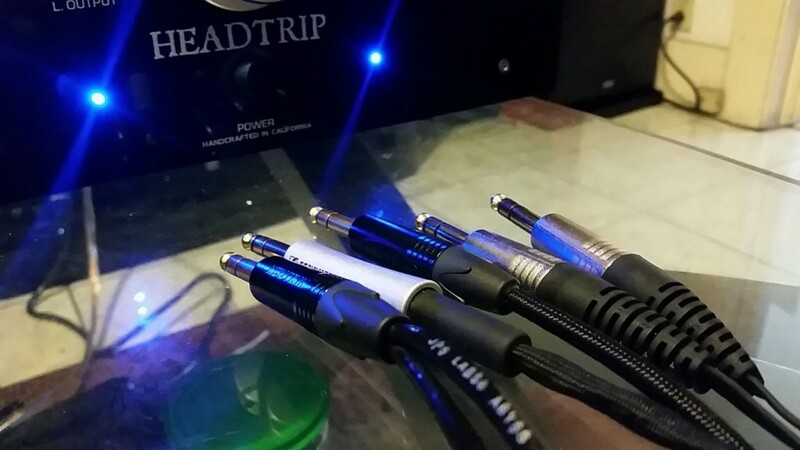 While the focus of the review was not on the electronics I would still like to express my thanks for the kind and positive remarks concerning the Headtrip amplifier. Once again, brovo! Thank you for your kind words. I figured the Headtrip was the best amp for use in this comparison. Although some of the more sensitive cans touched the noise floor of the amp, I felt it indeed showed these cans in the best possible light. I completely agree, synergy between electronics is so important and hence the reason why a company like the Cable Company exists. I’ve realized the only way to know is to try before you buy and figure out if it suits your tastes. The equipment used in this review were far from optimal but like you said, I think it serves its purpose. Jeff, you’ve done a spectacular job with the Headtrip. Due to space and budgetary constraints, I’m currently pairing the Abyss with the Simaudio Moon 430HA but I still think about the sound out of the Headtrip. In a way, it’s a teleportation device. So much authority and grip. Worth every penny. I hope to own this amp one day as I find it to be a true “end-game” headphone amp. Thank you for your countless hours in developing such an extraordinary piece of equipment. I chose the model of headphones that suits me the best, but everyone chooses a model for themselves and one can not find something that will suit everyone equally.